Rick Husband, William McCool, Michael Anderson, David Brown, Kalpana Chawla, Laurel Clark and Ilan Ramon were just minutes away from landing when mission control lost contact with their shuttle 16 years ago, according to NASA. The seven-man crew were all killed when the shuttle broke up as it returned to Earth. They were 16 minutes from landing in Florida, accoding to NASA. U.S. Air Force Col. Rick Husband was the commander. He was a 45-year-old husband and father of two when he died. His childhood dream was to become an astronaut, according to NASA . 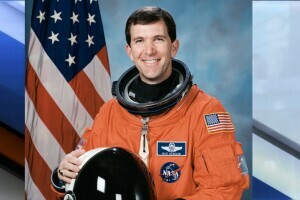 He was selected as an astronaut candidate in December 1994. "And so, it was the achievement of a lifelong dream and a goal," he said at the time, according to NASA . "And, it's very humbling, I'd say, and exciting at the same time to be able to actually go and do the kind of thing that I'd wanted to do and the thing that I had looked forward to doing for such a long time." U.S. Navy Commander William McCool was the pilot. He was a 41-year-old husband and father when he died. 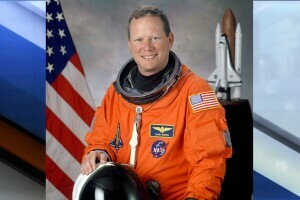 He became an astronaut candidate in 1996. "From our orbital vantage point, we observe an Earth without borders, full of peace, beauty and magnificence, and we pray that humanity as a whole can imagine a borderless world as we see it, and strive to live as one in peace," McCool said of the unique view he and his crewmates has from Columbia, according to NASA. U.S. Air Force Lt. Col. Michael Anderson was the payload commander. He was 43 years old when he died. He was a husband and father. He said science caught his attention when he was young. 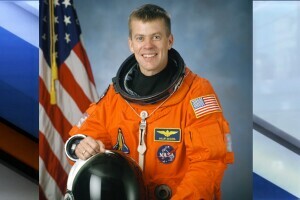 He was selected as an astronaut candidate in late 1994. "You know, here you have these men that are scientists, engineers, and they're also flying these wonderful airplanes and these great spaceships, and they're going places," he said. "And to me, that just seemed like the perfect mix and the perfect job. So, very early on, I just thought being an astronaut would be a fantastic thing to do." U.S. Navy Capt. David Brown was a mission specialist. He was 46 years old when he died. 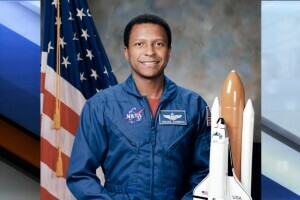 He was selected as an astronaut candidate in 1996. He never thought he would be an astronaut. "I thought they were movie stars. And I just thought I was kind of a normal kid," he said. "And, it was really kind of much later in life after I'd been in medical school, I'd gone on to become a Navy pilot, that I really thought, 'Well, maybe I would have some skills and background that NASA might be interested in. And then I went ahead and applied. So, I think growing up I really underestimated myself." 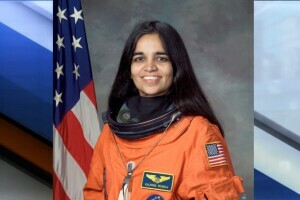 Kalpana Chawla was a 41-year-old mission specialist at the time of her death. She is survived by her husband. She started working at NASA in 1988 and became an astronaut candidate in 1994. Chawla knew from a young age she wanted to be an aerospace engineer, watching planes from local flying clubs with her father, according to NASA . "For me, definitely, it comes every day from people in all walks of life. It's easy for me to be motivated and inspired by seeing somebody who just goes all out to do something," she said when asked who inspired her. U.S. Navy Captain Laurel Clark was a mission specialist. She was a 41-year-old wife and mother when she died. 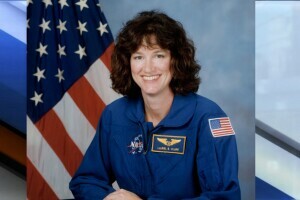 She was selected as an astronaut candidate in 1996. "We're incredibly lucky to be able to be working where we are up above the Earth and being able to see our planet from that vantage point," she said. 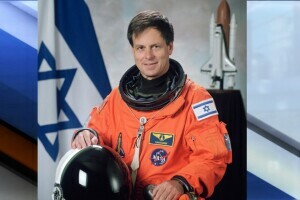 Israel Air Force Colonel Ilan Ramon was a payload specialist. He was a 48-year-old husband and father of four when he died. The son of a Holocaust survivor, he was selected as an astronaut candidate in 1997. "The world looks marvelous from up here, so peaceful, so wonderful and so fragile," Ramon said. "The atmosphere is so thin and fragile, and I think all of us have to keep it clean and good. It saves our life and gives our life." "Their mission was almost complete, and we lost them so close to home,” President George W. Bush said after the tragedy. “The men and women of the Columbia had journeyed more than six million miles and were minutes away from arrival and reunion. The loss was sudden and terrible and for their families the grief is heavy.